The SEER Certificate is available to students in the Fully Employed MBA program. 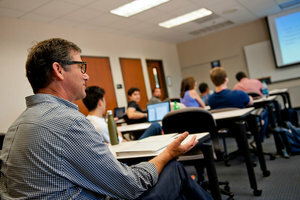 By selecting from a list of approved electives, students in the Entrepreneurship or General Management concentration can earn a SEER certification as part of their MBA degree. 1. Complete and submit the application for the SEER Certificate to your program advisor. Students are advised to submit the application after completing 16 units, or upon declaring a concentration. 2. Fulfill the requirements in the following three areas prior to graduation. Academic: Complete four 2-unit elective courses from the SEER certificate curriculum. Community: Join and be an active member of Pepperdine Net Impact chapter. Service: Complete a service project.